Well, this one hurts. 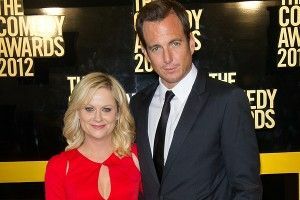 People reports that Amy Poehler and Will Arnett — two hilarious, attractive, and, above all, normal-seeming people — have split up after nine years of marriage. What?! Nooooo, etc. So it is at this point that I’d like to remind us that just because they’re splitting up doesn’t mean that what they had for all those years — and, by proxy, what we all had — wasn’t real, and won’t be real forever. Also, sorry for preemptively ruining your Friday.